It's a lesson that Bravenec, a graduate of Seattle Pacific University's visual communication design program, picked up on the job during his internship at design agency Hornall Anderson. Creating a communication system for a client that works across multiple platforms &#mdash; from posters to postcards, banners to billboards &#mdash; requires collaboration, he says, and lots of revision. 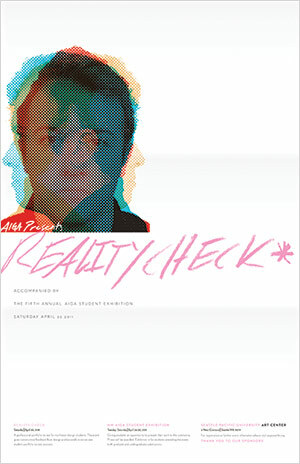 Both Nagel and Bravenec created promotional materials for Reality Check, a portfolio review session held each spring for Northwest design students. 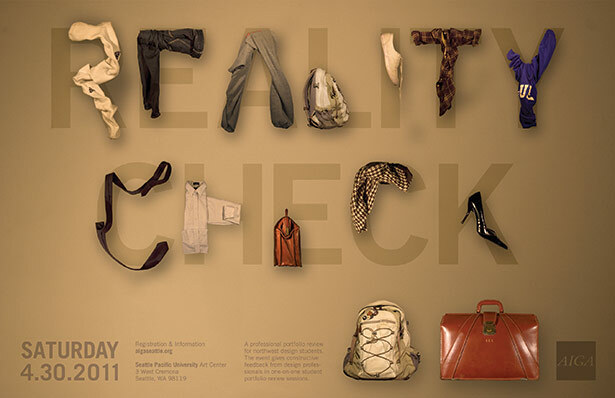 Sponsored by SPU and AIGA, the professional association for design, the event gave students practice presenting their work outside the classroom, with industry professionals offering them feedback. “It was a little like speed dating,” says Nagel. These posters ended up taking a place in their professional portfolios.